Bending metal using a V-Grooving machine allows it to be folded to a tight radius, or sharp corner. This enables folded metal to mimic solid bar material at around a tenth of the cost and also avoids wastage. V-Grooved profiles look just like solid bar material but are light in weight and easier to transport and install. 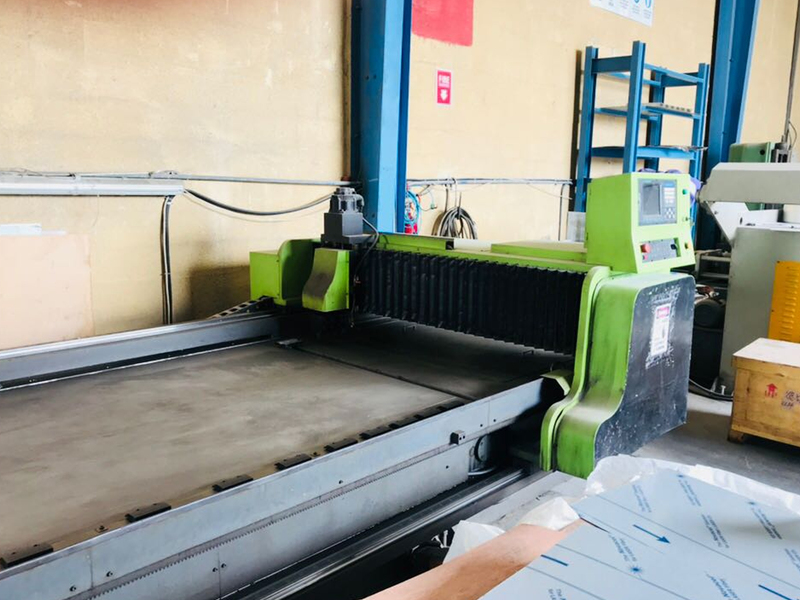 Depending on the thickness of the material and the type of fold required, the V-Groove machine cutting head will run a programmed number of times along the sheet material. V Grooving creates decorative grooves, channels and shadow gaps. V-Grooving allows for sharp bends to be created from sheet material creating profiles that give the appearance of a solid material. Solid, or bar, metal is both more expensive to purchase and creates wastage once shaped. Bending sheet material is a more cost-effective alternative. Speed – a V-Groover can machine more grooves in one hour than a traditional milling machine or router can perform in eight hours. This means it is cheaper in the cost of labour and large volumes can be handled in relatively quick timescales. Accuracy – the V-Groover is set to a highly accurate measurement – so much so that a grooved sheet could be put through a second time with no deviation or alteration to the first groove. This means very precise and small profiles can be fabricated. No wastage – channelling out solid bar material creates waste from an expensive commodity. V-Grooving and folding creates minimum waste and is on average a tenth of the cost of working with solid bar metals. Precision folding – V-Grooving allows for folding to a tight radius, creating sharp bends. Groove shape options – V-Grooving can be created not just in one shape of V. Wider V, semi-circular and square grooving is also possible allowing for a range of design variations. Aesthetic – V-Grooved and folded profiles in appearance look as if they are cold-drawn or extruded metal.